La Concha Bakery bakes many breads ranging from Mexican, to French, and seasonal. All our breads are made with the highest quality ingredients. At La Concha we dedicated to producing artisanal, handmade breads using traditional baking techniques. These items are available every day at our location and available for online ordering. 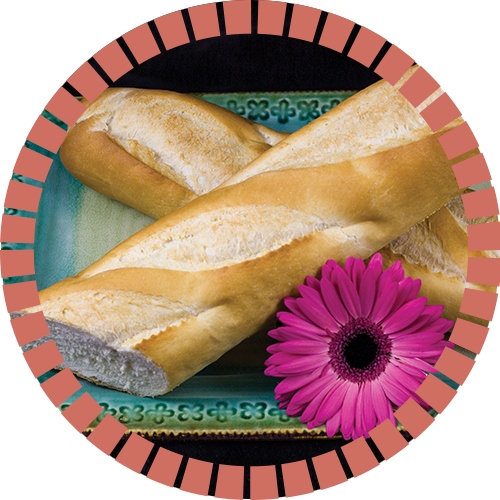 Learn more about each of our bread varieties below. Warm, crunchy on the outside and soft on the side, made fresh in house daily. 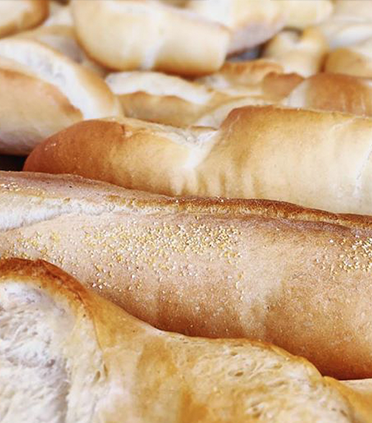 Smaller versions of our French baguettes. great for sandwiches. 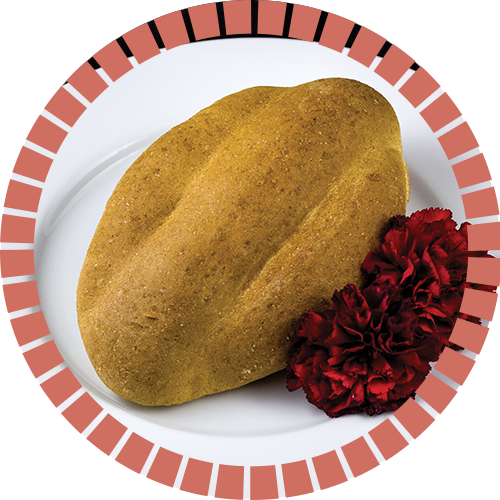 Bolillo – one of our top sellers, no Mexican Bakery would be complete without this item. 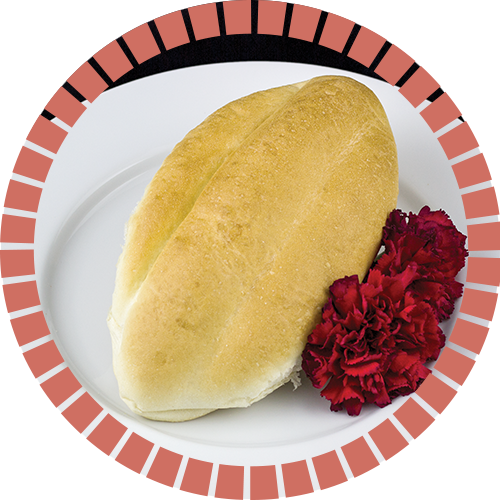 Shaped like an elongated football and about 6 inches long, a bolillo is a Mexican roll made from dough similar to that for a French baguette. 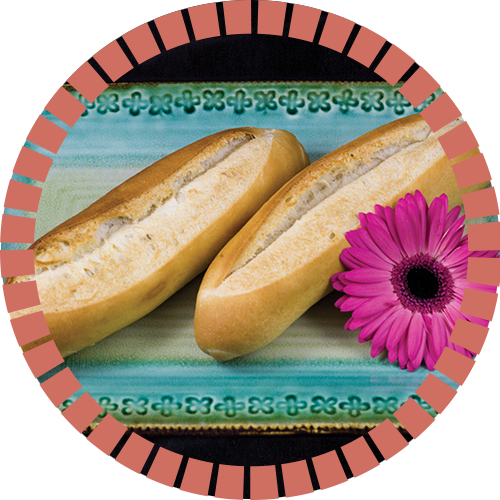 Bolillos have crisp brown crusts and light, chewy interiors and are most often used to make tortas—Mexican sandwiches. The crispy crust is what makes this bread delicious, we make our bolillos daily and bake them several times throughout the day and evening as demand requires to ensure freshness in our unique steam injection deck oven shipped from France. 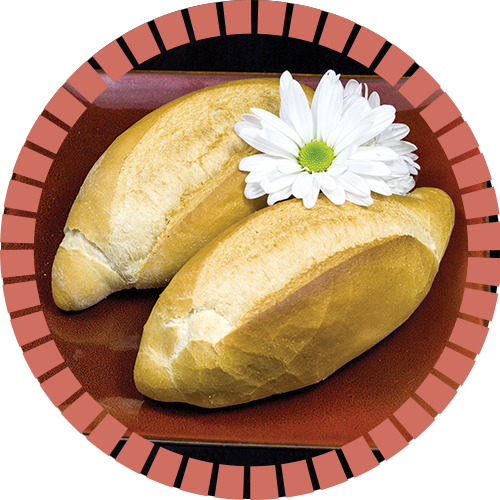 Teleras is a bread very similar to bolillos but scored to divide it into three sections and softer texture than the crispy bolillos is also perfect for sandwiches. We make them in white or whole wheat. 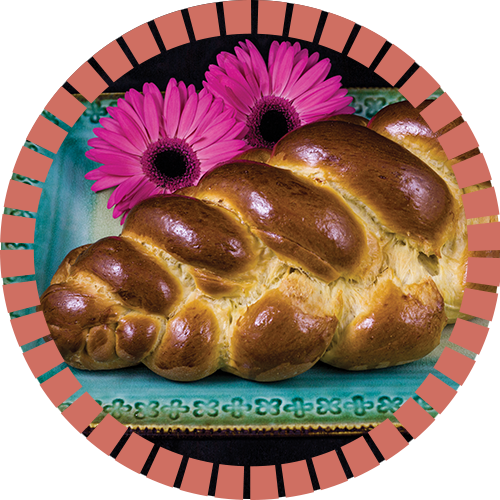 Challah–Challah is a loaf of yeast-risen egg bread that is traditionally eaten by Jews on Shabbat, some holidays, and on special occasions, like a wedding or ​brit milah (circumcision). 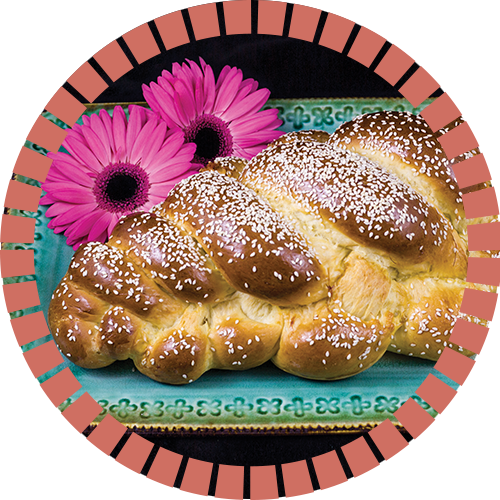 Sesame Challah – Challah topped with sesame seeds. 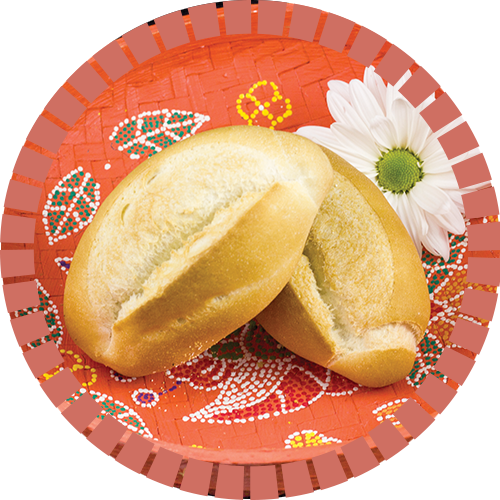 Pan de Muerto – a sweet yeast raised bread sweetened with orange zest baked and then covered in granulated sugar. 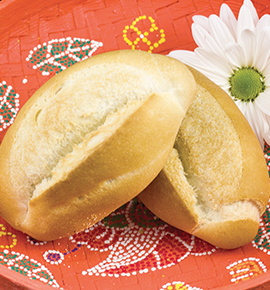 This bread is made for the celebration of the Day of the Dead celebrated on November 1st and 2nd. 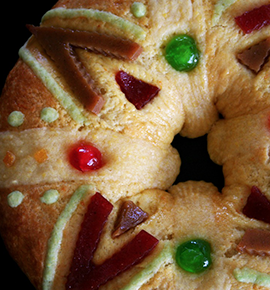 Rosca de Reyes – a sweet bread shaped oval or round and covered with dried fruit. This bread is made for the catholic celebration of the Three Kings Day on January 6th. A long thin loaf of French bread with a crisp crust. A crusty hard roll with a soft center. 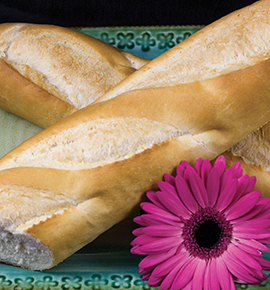 A smaller version of the Baguette with a crisp crust that is great for sandwiches. 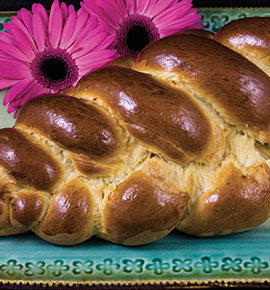 A braided yeast leavened egg loaf covered with sesame seeds that is traditionally eaten by Jews on Shabbat, on ceremonial occasions, and during festival holidays. A soft white sandwich roll used for making Tortas. A soft whole wheat sandwich roll used for making Tortas. Need a Bulk Order Of Our Breads? Place an Online Order!